Metal prints represent a new exciting art medium, with stunning results. The image is infused into the surface metal surface, providing image preservation and durability. Metal prints are available in four different finishes: solid glossy, clear glossy, solid matte and clear matte. 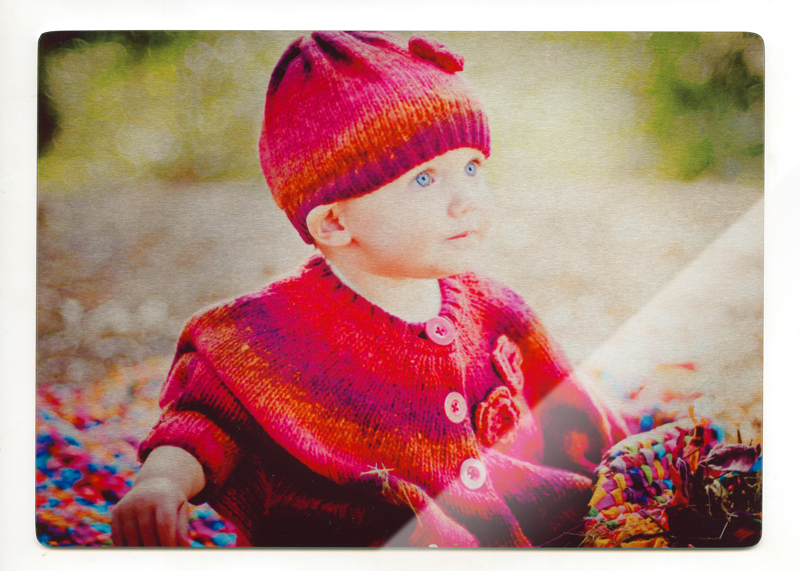 All metal prints come with rounded corners at no additional cost. Also, all metal prints come with mounting blocks that set the metal print a 1/2" off the wall to add depth. Solid glossy metal print finish provides excellent detail and vibrancy. It is the most frequently requested finish due to its brilliance and resolution. No grain of the aluminum print is evident. If you are seeking a less reflective finish then the matte finish is an excellent choice. The color is slightly muted compared to the solid glossy finish. The matte finish is a good choice for images that you are concerned about too much glare or reflection. Customers prefer the matte finish for portraits and wedding images. The clear matte finish has all the characteristics of our clear glossy finish, silver base (aluminum color), with the difference being a less reflective matte finish. The matte finish is a good choice for images when you might be concerned about glare and too much reflection. The clear surface creates a metallic look to your image. Metal Prints not only come in a variety of finishes, but we also offer creative shaped prints, decorative metal collages and more! View the Metal Print page to see more options.